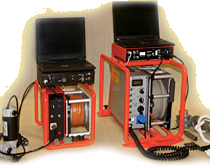 The HMG-453 probe measures in magnetic channel magnetic susceptibility of rocks down the borehole profile. The susceptibility is an excellent indicator of lithology. In natural gamma channel the total gamma radiation released from potassium and the decay products of uranium and thorium (natural or man-made) ocuring in the formation surrounding the borehole is measured. Probe of diameter 38 mm can also be manu- factured upon special order. 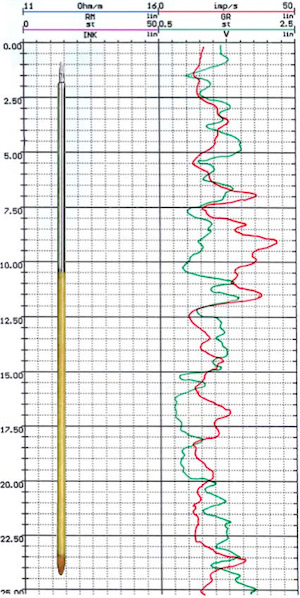 Its measuring parameters are similar to those stated above.